This blog / podcast is not for children or the easily offended. The opinions expressed do not reflect those of the authors’ families, employers, acquaintances or even the authors themselves (depending on how incriminating said opinion might be). Three new fathers, wandering through the strange, horrifying and exhausting yet wonderful, exciting and fulfilling world of being a reluctant grown up and parent. And trying to get their heads around the fact that their dreams and desires are now small considerations in an increasingly complex matrix of stuff that needs doing NOW. The Dads document their experiences and reflections in this Blog and record a comedy Podcast where they discuss their opinions, comment on current affairs, try to be funny and showcase any creative exploits that they may have managed to fit into their chaotic schedules. You can access our hosting provider here: sadmaddads.podbean.com. You can subscribe in iTunes directly from the link, or our RSS feed is http://sadmaddads.podbean.com/feed/ . Alternatively, you can search for “Sad Mad Dads” on your Podcast aggregator. The show will always be free. 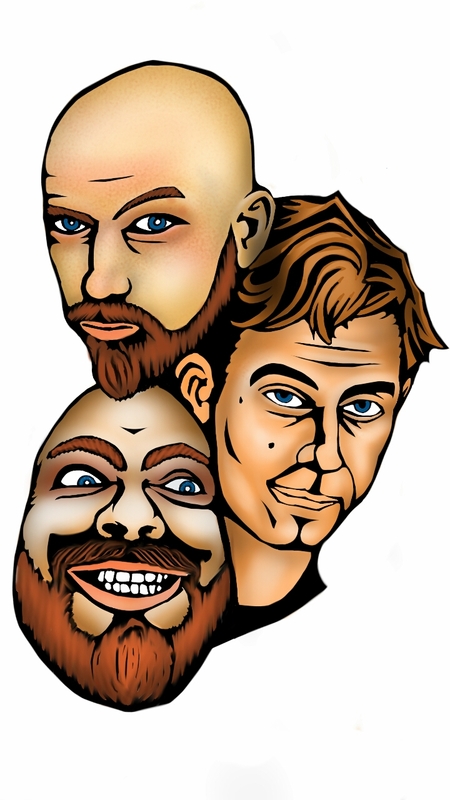 However, if you want to show your appreciation and help us out, you can support the show on our Patreon page at https://www.patreon.com/SadMadDads or bung us a donation at PayPal. There are thousands of blogs, books and podcasts about parenting but none of them seem to be remotely truthful (with a few notable exceptions which we’ll discuss elsewhere). In order to fight against the rising tide of psychobabble and disinformation, the three Dads promise to be honest – some would say too honest – about their experiences as well as being (hopefully) entertaining. The blog mostly consists of their shared chats and streams of consciousness, but occasionally there are more structured works of creative genius. Sort of. So if you are a struggling parent, a stay-at-home parent, a part-or-full-time parent, a parent who feels they don’t see their kids enough or a parent who feels they’ve had just about all they can stand and can’t stand no more, read on. In the words of Michael Jackson (who raised the bar pretty high for bad parenting): “You are not alone”. BOB: Born 1981. Married. Two boys, one in school, one in nursery. Artist, animator, writer, director, trying to get someone to notice. You’ll have noticed we’re all male. There’s nothing we can (willingly) do about that. Hopefully this blog and podcast will appeal to women as much as men but we hope you understand that while we will strive to be as inclusive as possible, we can only write from our own perspective. Other works are available if you don’t like it. But still follow this one as well, obviously.